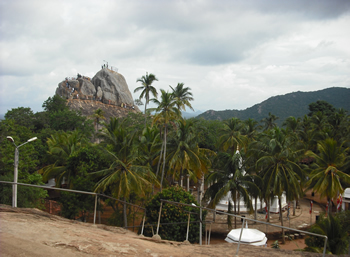 From ancient times a large number of steps were constructed to climb Mihintale. 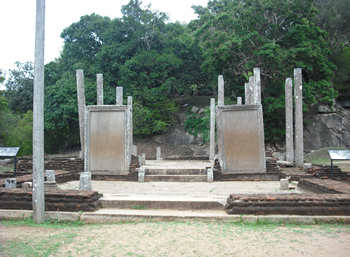 It is stated that King Devanampiyatissa constructed a vihara and 68 caves for the bhikkhus to reside in. 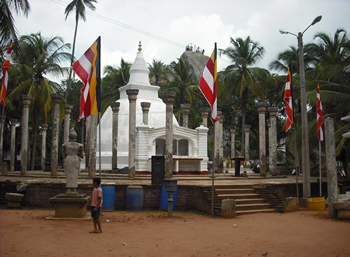 At Mihintale there gradually grew a number of Buddhist Viharas with all the dependent buildings characteristic of monasteries of that period. At the foothill of the mountain are the ruins of a Hospital, medical bath (or stone canoe in which patients were immersed in medicinal oil) a stone inscription and urns belonging to the ancient period have been unearthed. 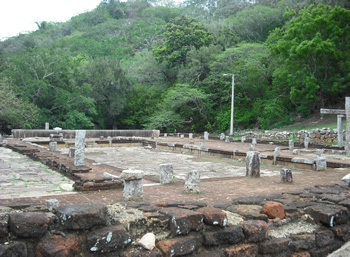 Between the hospital and the steps leading to the rock are the ruins of a large monastery. 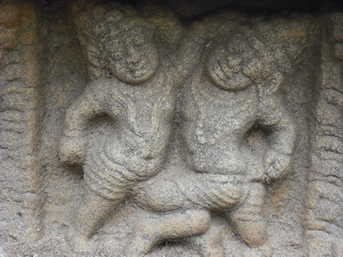 On the floors of the square building which is 125 feet on one side, are beautiful carvings and also are stone balustrades and guard stones. As this side is precipitous, the steps are on the eastern side of the slope, spacious and in 4 sections. The stairway has 1840 steps made of granite, leading to the summit. At the end of the first set of steps on the right side of the plain, is a small mountain peak. 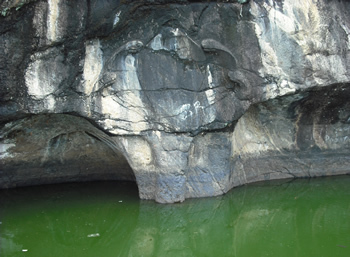 On this is situated the most famous Kantaka Cetiya.